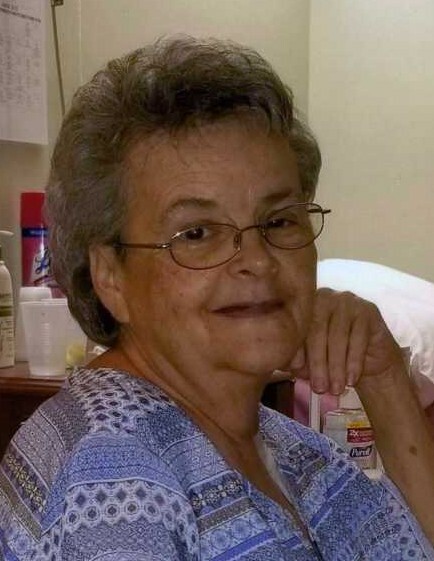 Sarah Elizabeth Britt, age 71 of Cerro Gordo passed at the Lower Cape Fear Hospice Angel House on Saturday, August 25, 2018. A graveside service will be held at 11:00 a.m. Tuesday, August 28, 2018 at the Powell Cemetery in Fair Bluff with Pastor Tim Moore officiating. The family will receive friends from 6:00 p.m. – 8:00 p.m. on Monday at Worthington Funeral Home in Chadbourn. She was employed by Stone Manufacturing in Fair Bluff for over 20 years and employed by the Columbus County Department of Aging for 18 years and later was employed as a private sitter until her retirement in 2017. She was the daughter of the late Gertrude Blanche James Britt and Hubert Lee Britt. She was preceded by a grandchild, Aubrie Britt and seven siblings, Sammy Britt, Jim Britt, Carlos Britt, Evon Allen, Elaine Britt, Loretta Britt and Helen Cook. She was a loving and caring person who loved her clients, church family and especially her family and cherished every moment spending time with her grandchildren. She leaves to cherish her memories, two sons, Richard Glenn Britt of the home and Stevie Melvin Britt (Melissa Tyler Britt) of Fair Bluff; siblings, Buddy Britt, Wheeler Britt, Susie Britt and Garnette Britt all of Horry County, SC; four grandchildren, Brittany Britt, Casey Britt, Miche’la Britt Oxendine and Elizabeth Chavis; and nine great-grandchildren.